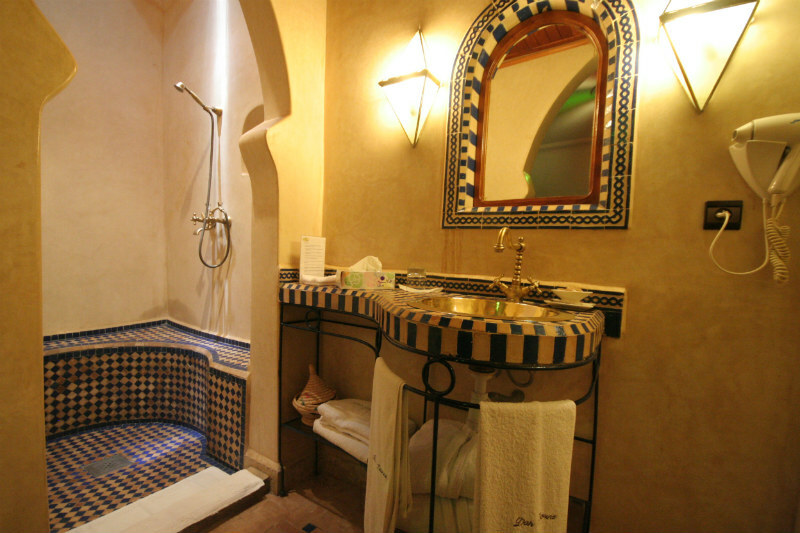 Dar Zitoune - Luxury Riad in Marrakech, Morocco. 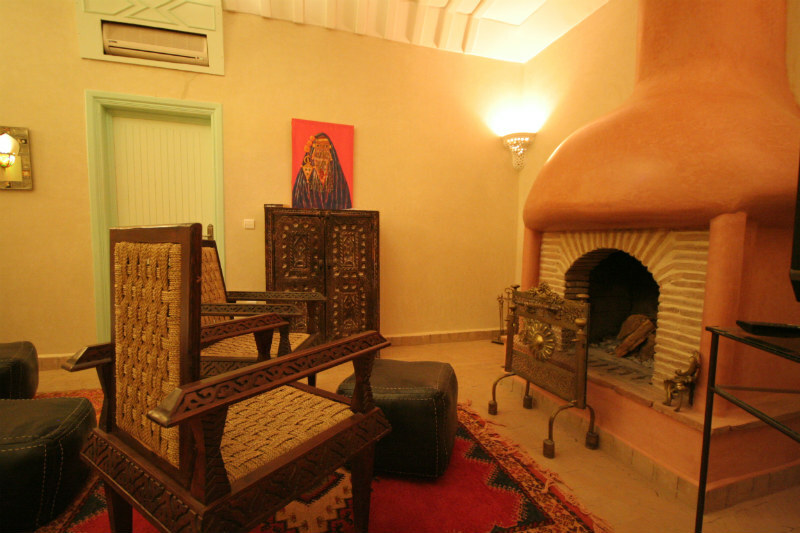 Book Dar Zitoune Today with Hip Marrakech - specialists in English Speaking Accommodation in Marrakesh, Morocco. "The name means the "House of the Olives" and is set in a lush and beautiful garden." There are 14 air-conditioned standard rooms and 8 suites in garden style bungalows or the main house, and offer a calmness and privacy essential for a wonderful holiday. 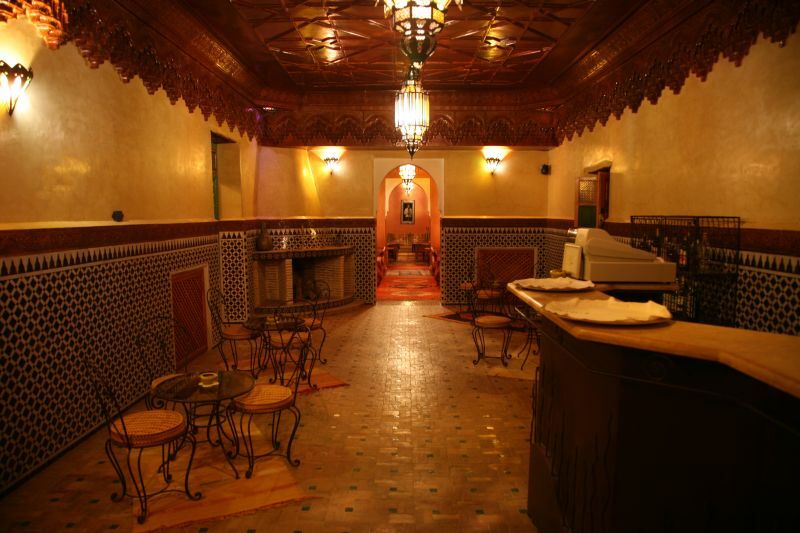 Our restaurant offers both Moroccan and European cuisine, and can cater for vegetarians. In the evening, the downstairs bar welcomes you cocktails and drinks to unwind after a stress-free day with occasional entertainment by local musicians! Prices are per double room inclusive of breakfast. Half board rates are an extra 30 euros per person per night. Reduction for single occupancy (please request). The charming Bungalows are more intimate air-conditioned double rooms, with either ensuite bathroom and shower. 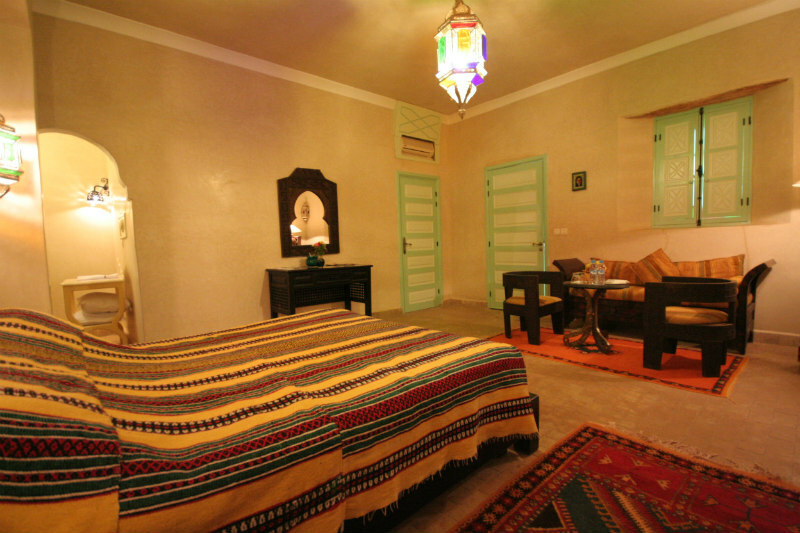 A cosy room but with plenty of space for two people on a romantic getaway in Morocco. 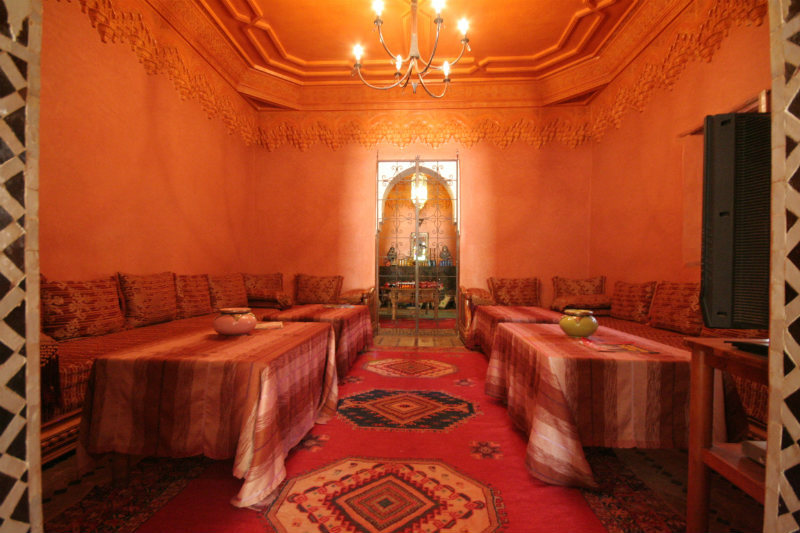 The small in room salon has a small seating area with table and chairs on a colorful Berber style floor rug. The Berber tents at Dar Zitoune have combined the traditional Moroccan housing technique of decorative material walls with a permanent wooden built chalet style to create a taste of desert living. 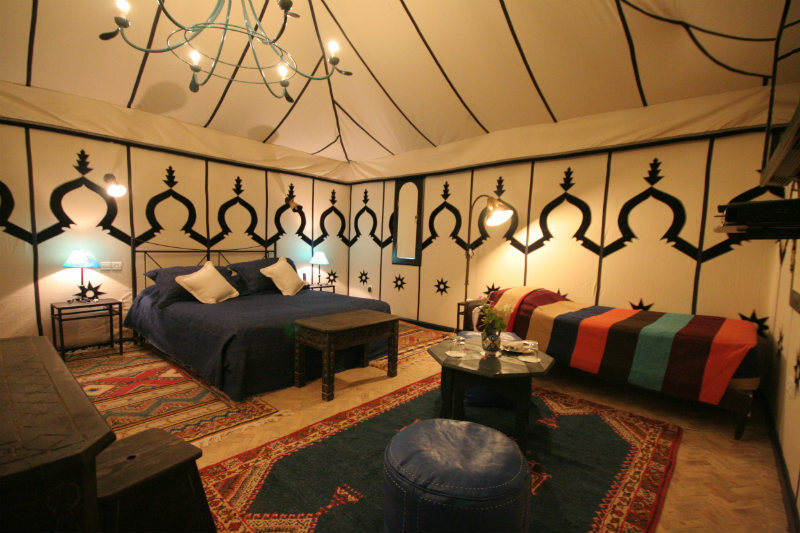 These tented rooms are spacious and styled in a Moroccan harem, with either large double bed or twin beds upon request. The Berber tents surround a medium sized swimming pool for their private use. 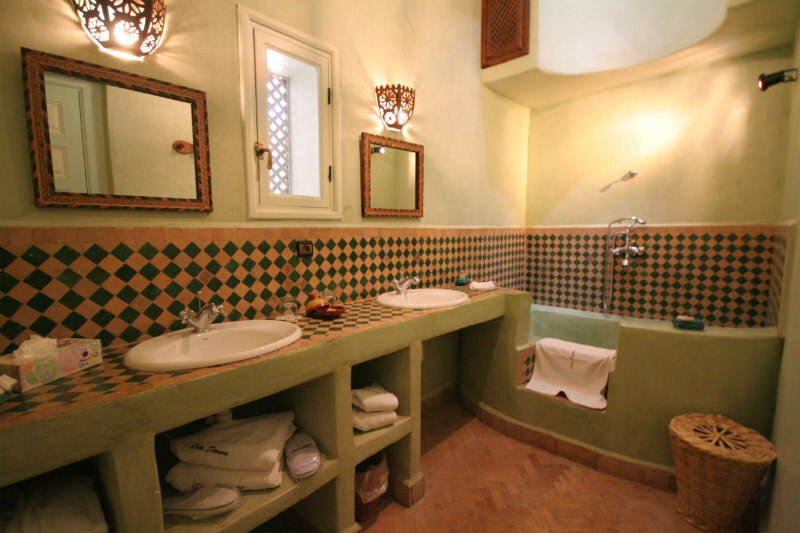 Bathrooms are spacious and designed out of the traditional Moroccan building technique of Tadelakt. 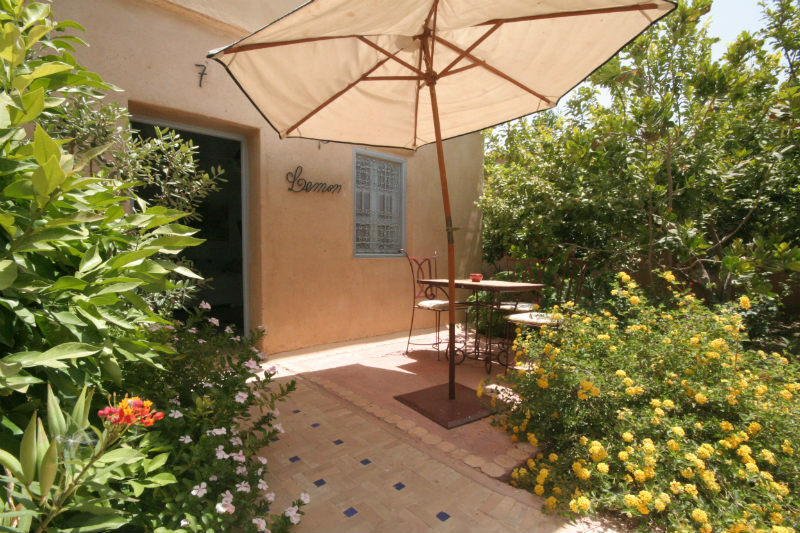 These rooms are well suited for those wanting a romantic stay in Taroudant with a little more seclusion. The spacious air-conditioned Junior Suites are presented in a small boutique hotel style with large double or twin beds and fresh white walls. 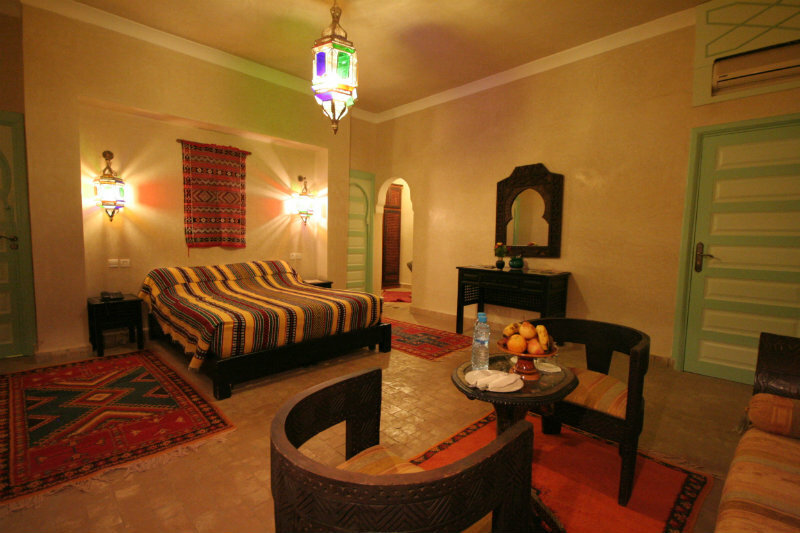 These suites at Dar Zitoune have have a small inroom salon with Berber carpet and Moroccan styled decorative table and chairs. 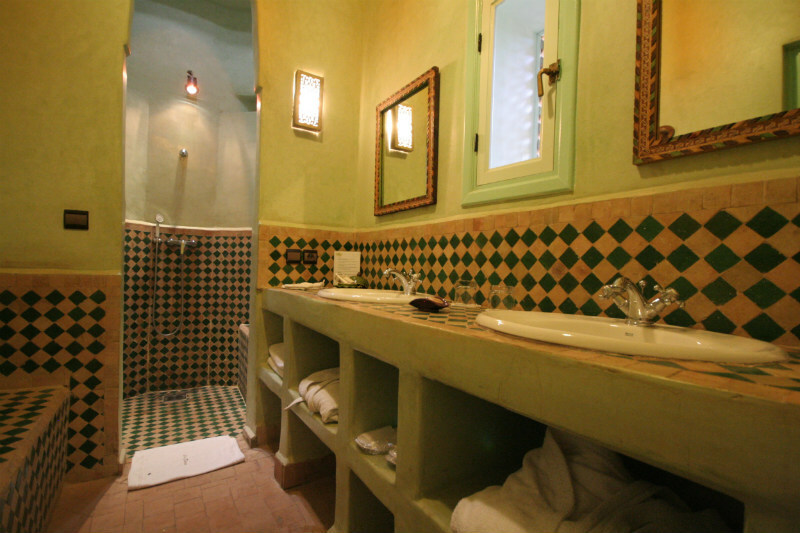 The Junior suites have ensuite bathrooms with shower crafted out of fresh looking tadelakt. 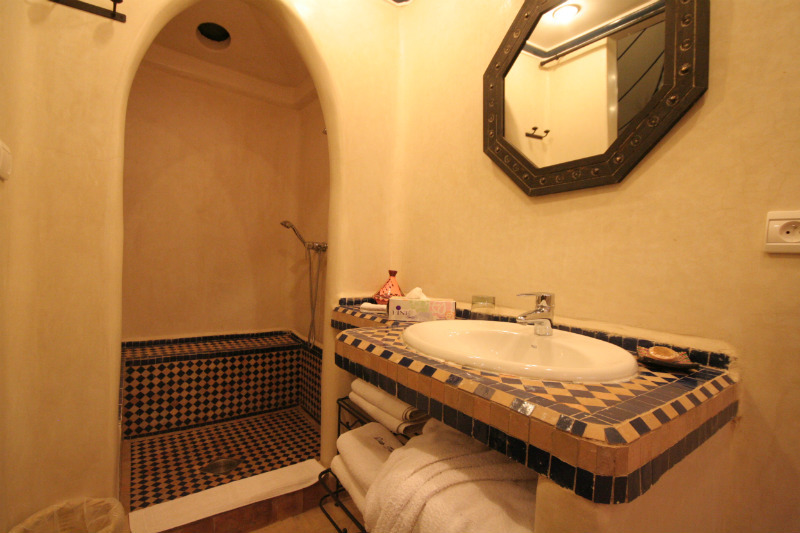 The Senior suites at Dar Zitoune are the largest rooms of this Riad in Taroudant, with ensuite bathroom and shower cubicle designed out of Moroccan tadelakt. These suites have a separate lounge with large sofa, table and chairs and a fireplace. 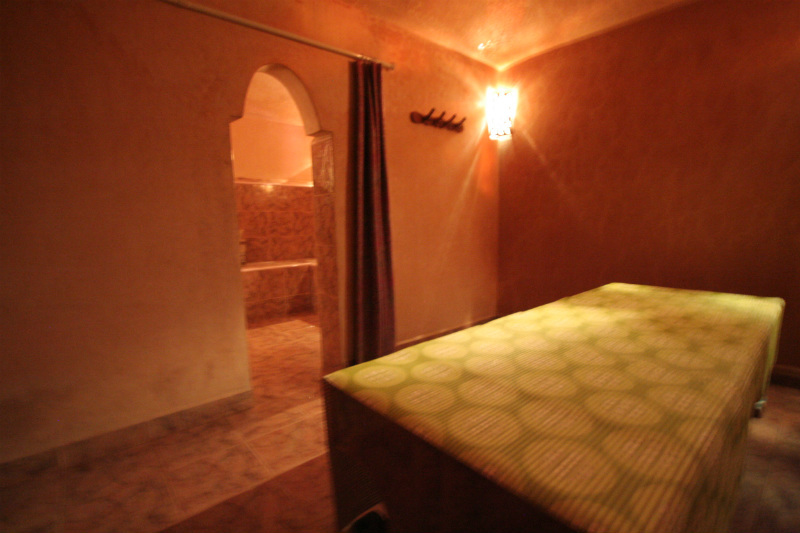 A suite well suited for a honeymoon in Taroudant where guests want exclusivitiyy and extra space to enjoy each others company among the relaxing surroundings of Dar Zitoune. These may be let with an inter-connecting Junior Suite, if required. 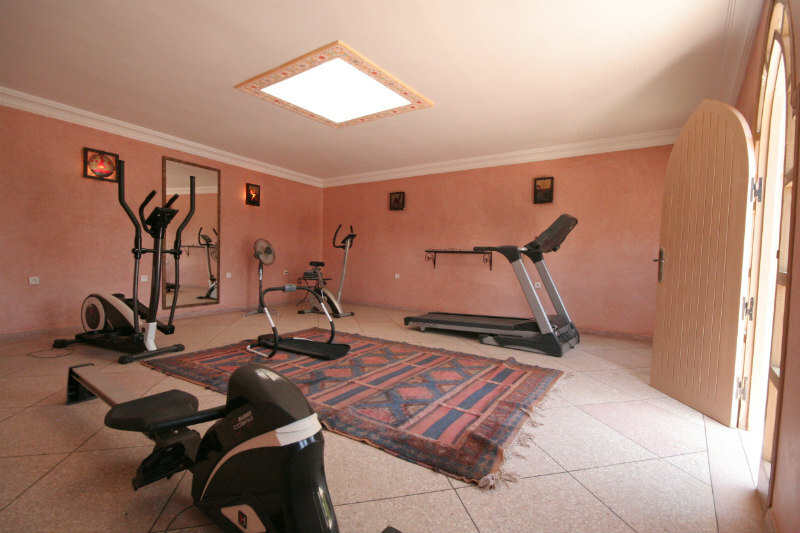 The base rate price at Dar Zitoune is in pounds, euros, or Moroccan dirhams and exchange rates are approximate. One of the best restaurants in Morocco, Dar Zitoune is situated among winding garden paths snaking their way round the Riad grounds. Sensual low lighting at Dar Zitoune and excellent food make for a beautiful evening. 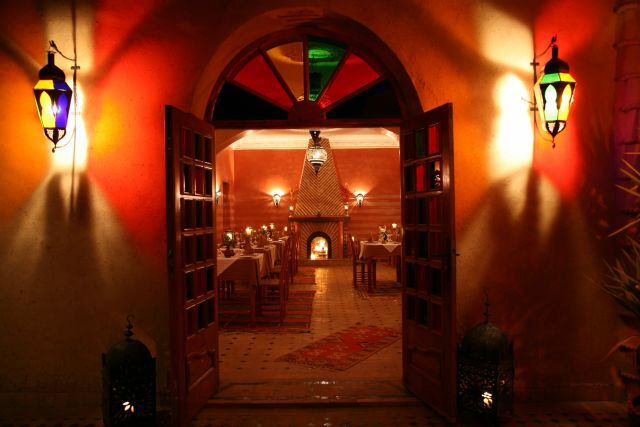 Located in beautiful Riad Maryam, this family run restaurant in Taroudant offers a homely welcoming authentic Moroccan dining experience with welcoming waiting staff. A humble experience but a taste of the true Moroccan. 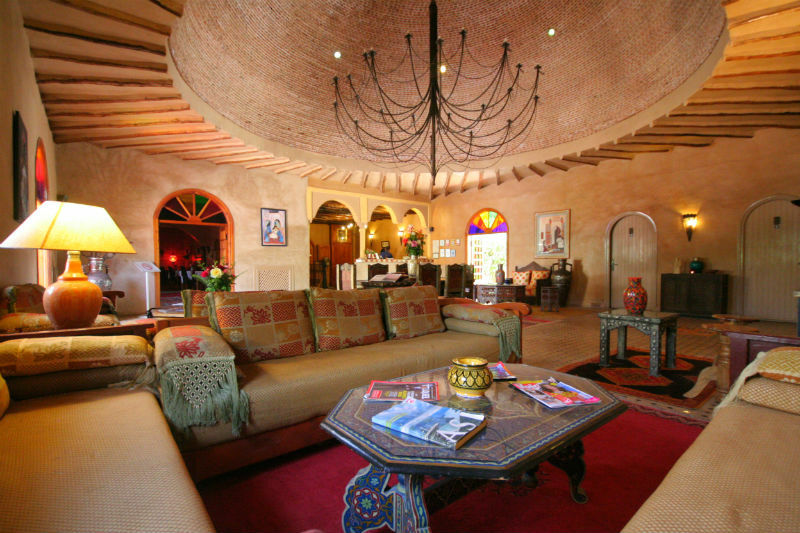 "Its hard to write a review for Dar Zitoune because it was the best place we have stayed in many years travelling. 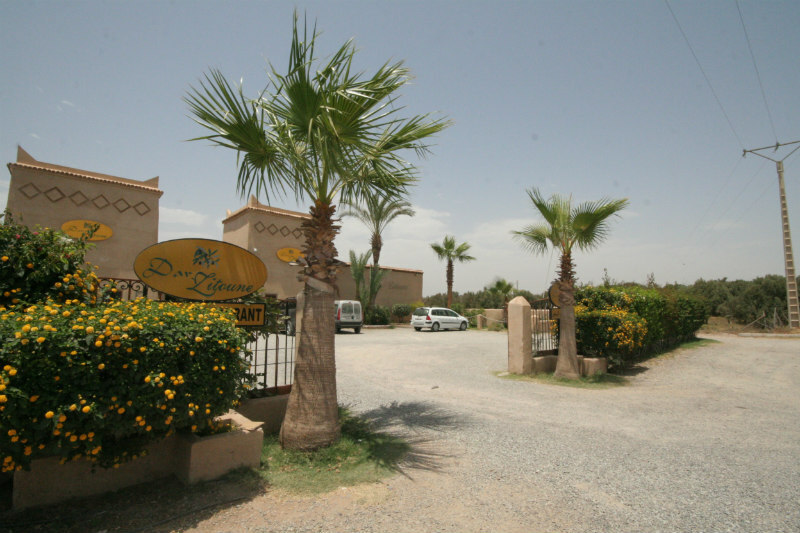 Firstly the staff on arrival were excellent, very relaxing, not rushing you through reception, we were given freshly squeezed ice cold orange juice, great as the temperature when we arrived was around 40C, and despite the air conditioning in the car it was very welcome. We were then taken to our room which was nice and cool. 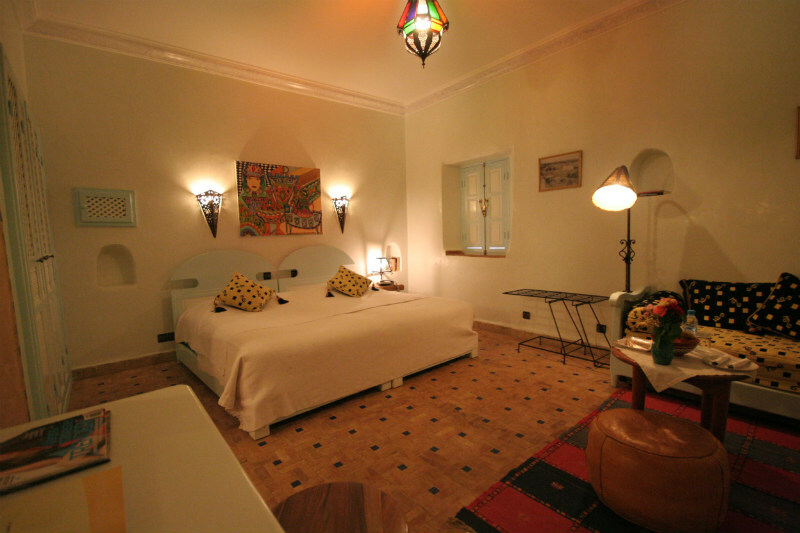 The room itself, a bungalow in the beautiful gardens, had its own small terrace to sit at in private, and was furnished and decorated in typical Moroccan style and absolutely spotless, with water, fresh fruit, and cakes provided daily. The gardens and swimming pool (3 available including the large hot tub) areas are beautiful, full of Mediteranean, and tropic flowers, bushes, and fruit, from the sunbed you could lean over and pick an orange or lemon. The main pool and hot tub were excellent, and very clean, and we mostly had them to ourselves during the trip. The poolside bar does drinks and ice creams, and the pool man was very nice, towels are provided so no need to bring any. If the pool man isn't there drinks can still be brought from the main bar by visiting reception. We didn't use the gym, sauna, or spa, but they are also available around the pool area. The food was excellent, but that deserves its own review. The staff were superb, and couldn't do enough to make it any more comfortable, and you can even have breakfast until as late as you want." "Arriving at this hotel after a six hour drive was a bliss. Behind the huge gate door you will find a small paradise. Magnificent garden with a huge outdoor pool where the birds flew down to drink water (they even had occupied the reception area!!!!) and turtles walking lazy among the bushes!!! Upon our arrival we were treated to a nice mint tea. 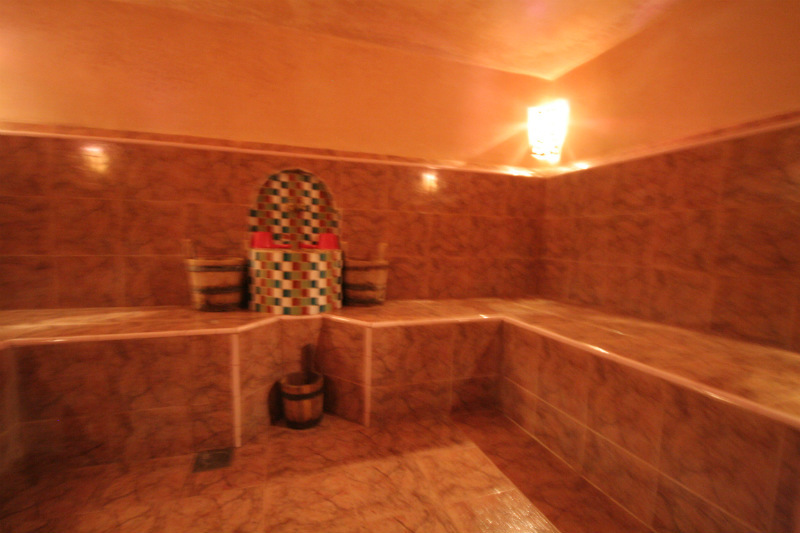 The room was spacious with one of the best bathrooms we had during our Morocco trip. Fruit and sweets were waiting for us at the sitting area. The breakfast was served near the pool and it was rich and delicious. The staff was very helpful and cheerful. I strongly recommend this hotel and would like to visit it again." "his is a wonderful hotel, where staff are welcoming and there is great attention to detail. Upon arrival, our group was welcomed with tea and delicious biscuits in the reception area. The area was very comfortable and a lovely perfume from oil burners filled the air, but was not over-powering. We were taken to our rooms, which are set in the beautiful grounds and, once again a delicate smell, this time of roses could be appreciated. The rooms are excellent; very comfortable, clean and extremely well equipped. Fresh flowers, fruit and biscuits were there to welcome us. Breakfasts were the best I had whilst in Morocco and the evening meals were also of a very high standard. There was an excellent service for those wanting refreshments at the poolside or in the shaded seating area. Altogether a very good place to stay." Best Price Guaranteed! All prices match or are lower than those charged directly by Dar Zitoune. We can check availability at Dar Zitoune for you, process your booking and assist you in finding alternative dates and accommodation if your first choice is already taken. 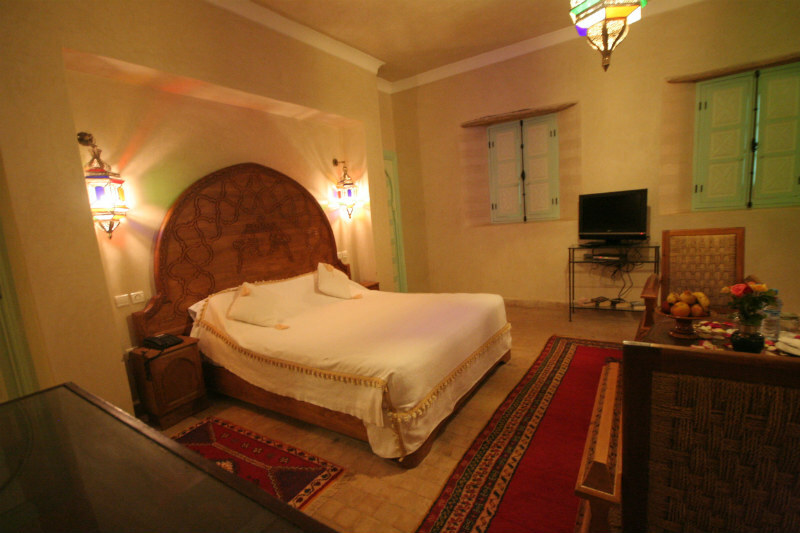 Every member of our team has expert knowledge of each riad including Dar Zitoune and can provide more information about the rooms, the location and how well suited it is to your specific requirements.